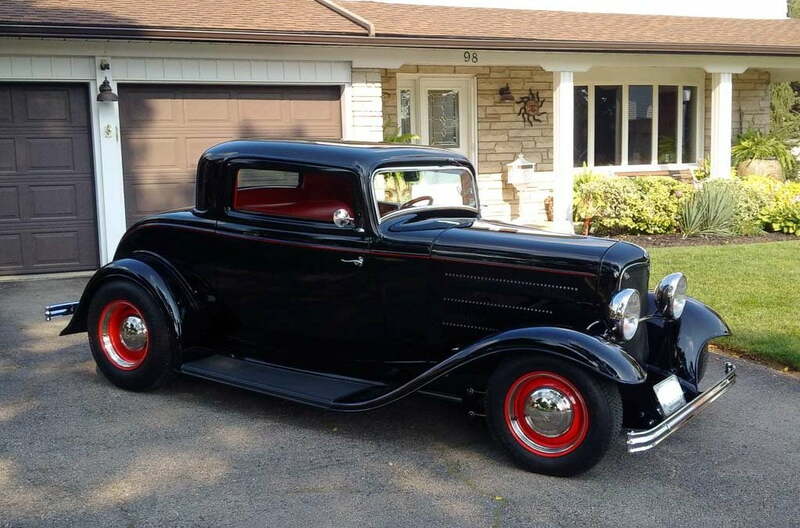 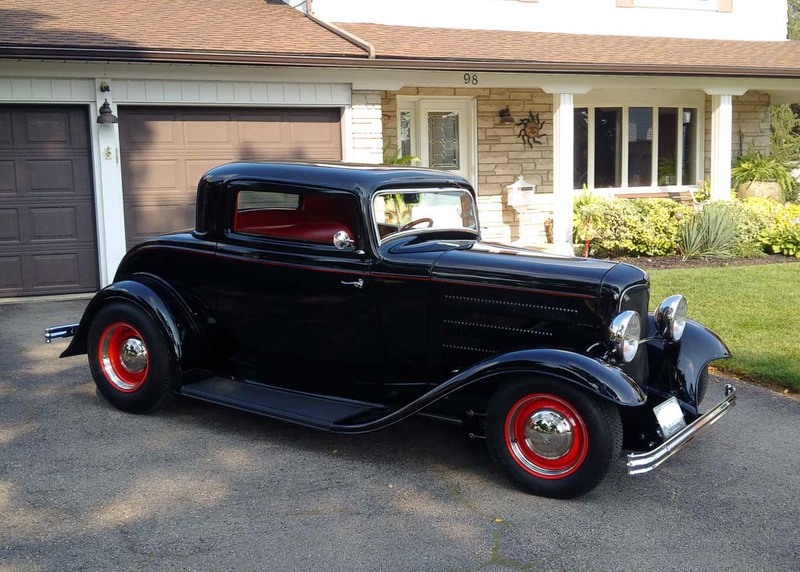 1932 Ford 3 Window Coupe - Zehr Insurance Brokers Ltd. 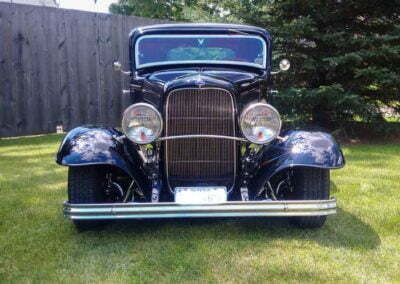 Owned by Dale, Kitchener, ON. 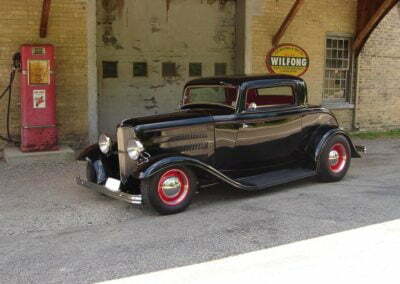 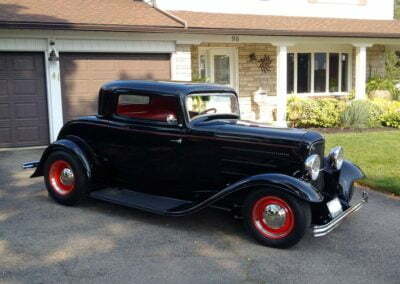 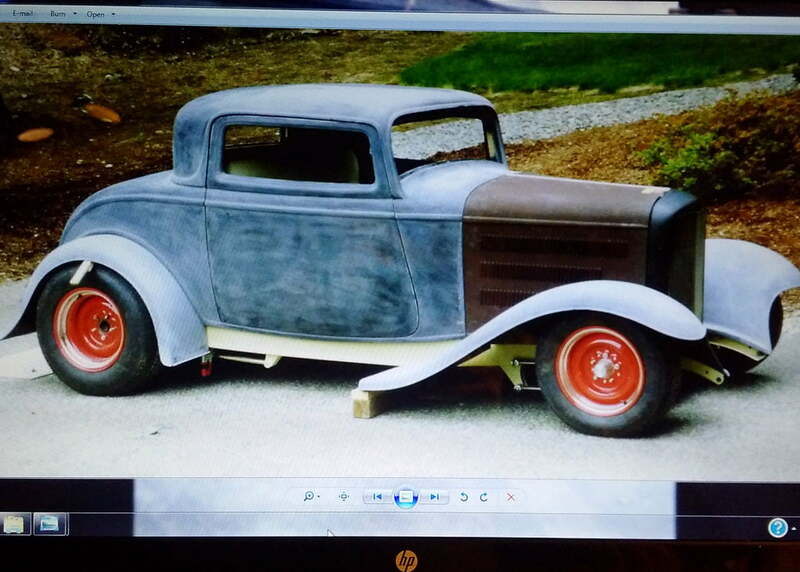 I purchased this 1932 Ford 3 Window Coupe four years ago. 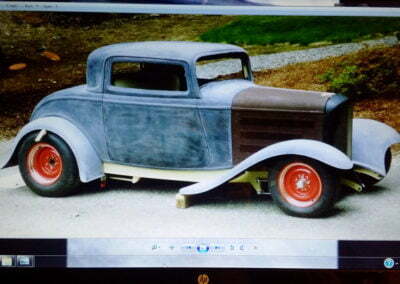 Was a good looking car but had issues. 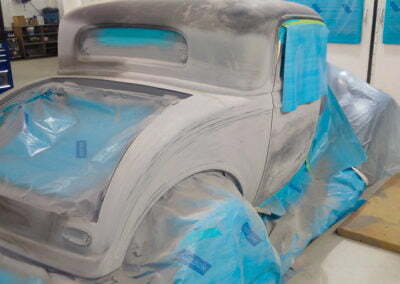 The car had never been in the sun so when I took it out, it blistered the paint badly. 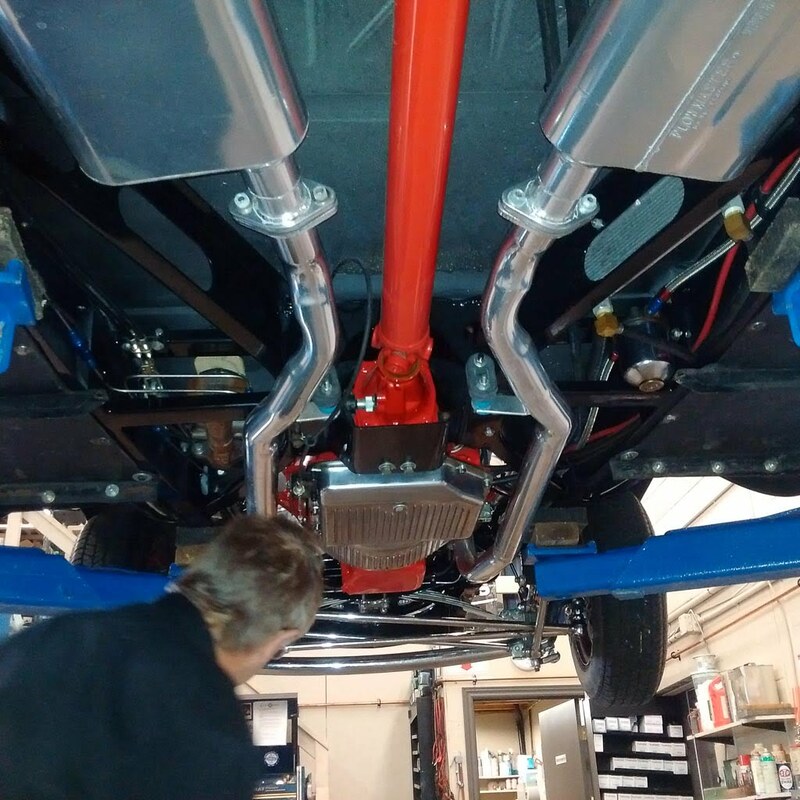 This car was originally rebuilt around 2010 and used as at indoor show cars in the USA for 2 years. 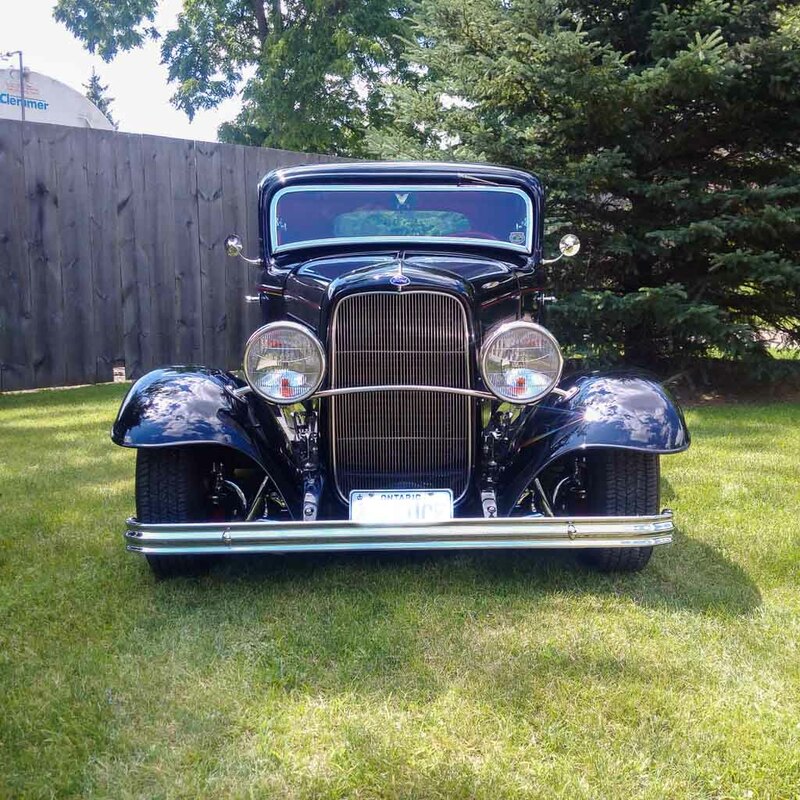 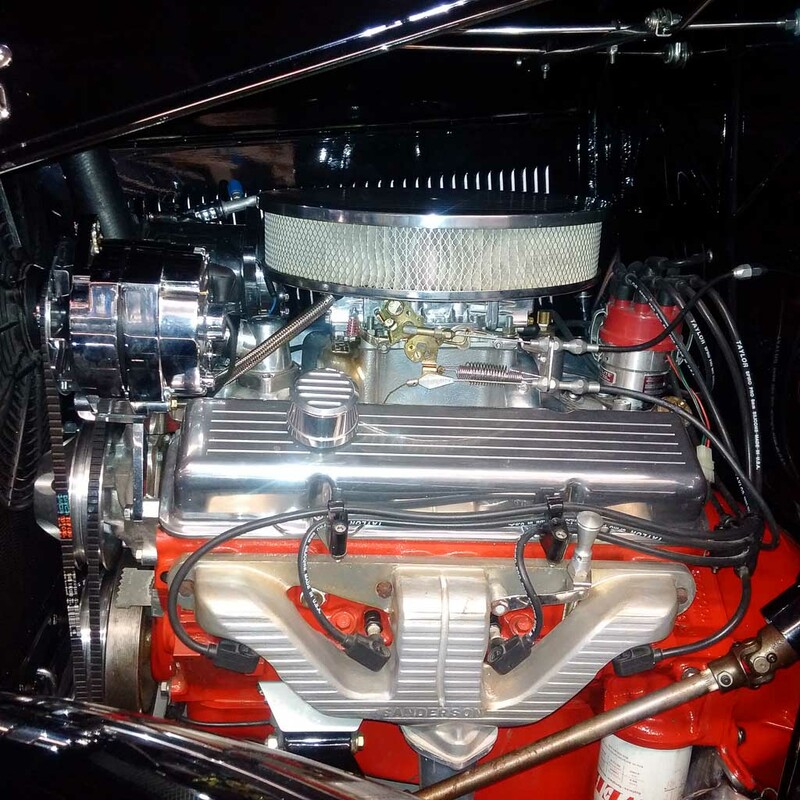 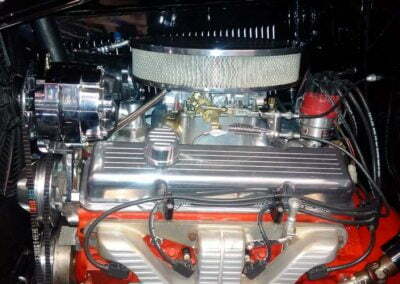 I completed several mechanical repairs such as the Radiator, Condenser, Vintage Air, Rear End, and spent four and a half months last Winter stripping the car and epoxy primer it had and then several hours of making sure the body was perfectly straight. 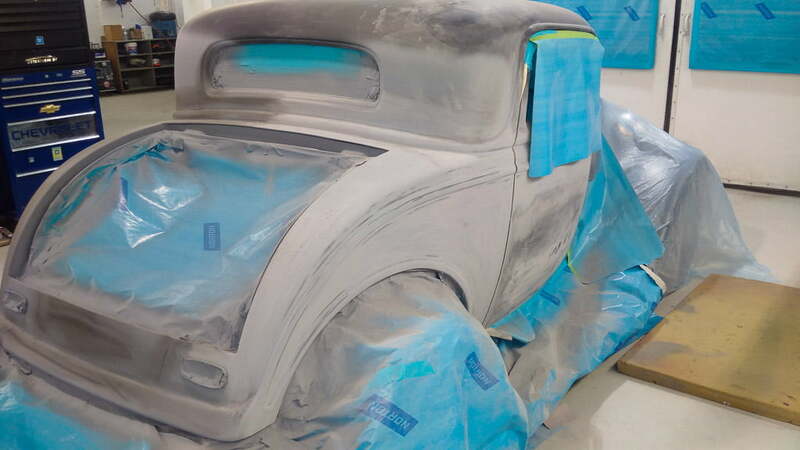 I outsourced to Harlow Body and Paint (Dave Harlow) for the final paint and details as they are best there is! I have had Hot Rods for 40 years and this is my dream car! 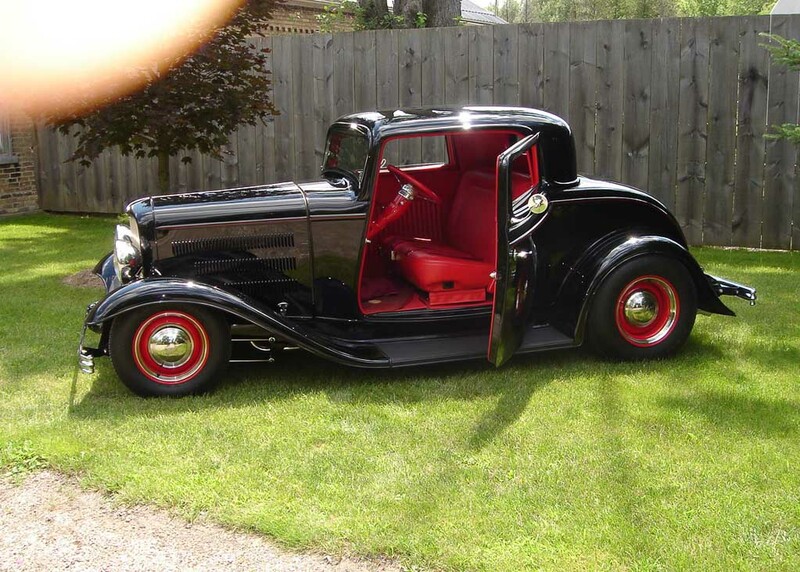 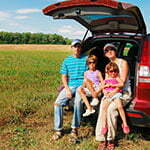 I use the car for causal, pleasure drives and take it to many car shows around the KW and surrounding region.